I have greatly been enjoying completing projects and learning something new this summer. 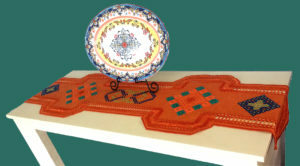 I have been working on two Hardanger and one Bargello designs for the last year and a half. I lose myself in designing and embroidery work. Shame that I do not find house work and weed pulling out in the garden to be as interesting. Completion of a two and a half year project: I am always so impressed with cross stitch, the ability to present so much detail with an embroidered design with the usage of such a simple stitch: an X. 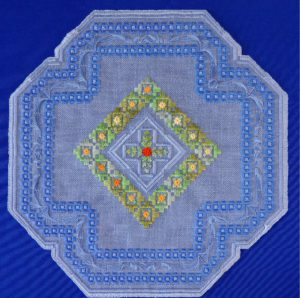 This kit, given to me as a gift, is one of my favorite cross stitch designs. 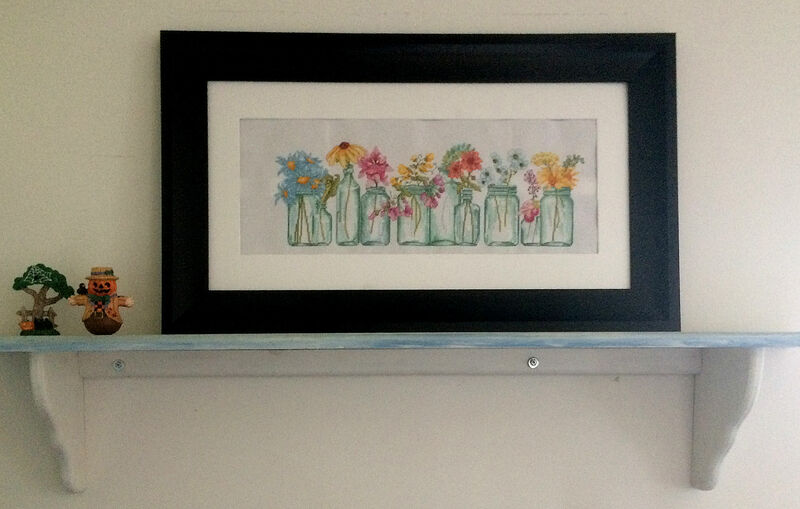 Many thanks to Dian for being thoughtful and providing me with a delightful project to immerse myself into as my husband and I dealt with health problems over the last three years. 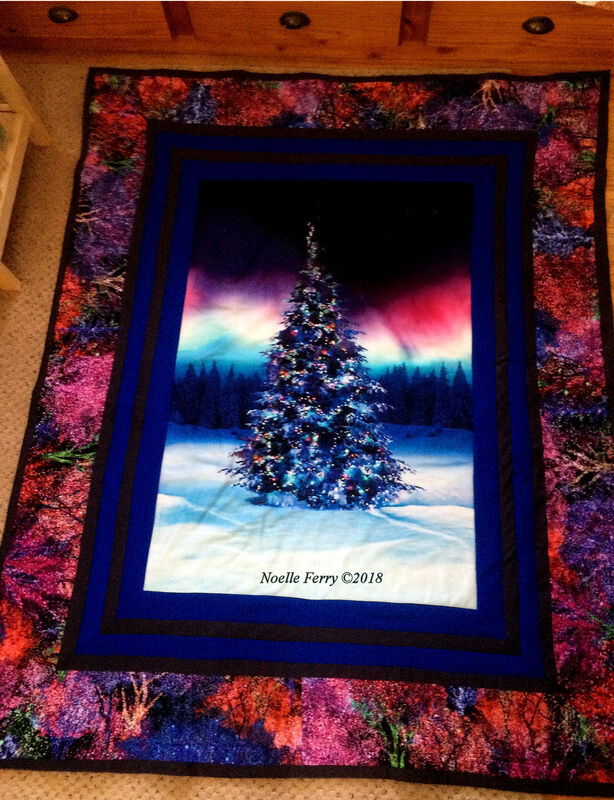 Learning something new: August 2011, I purchased a Singer 7469 sewing machine with the intend of learning to quilt. I at least unboxed the sewing machine when it arrived, but did little with the machine other than the occasional repair of a few bed pillowcase seams that a teething puppy took delight in chewing. This summer (2018) I finally got myself in gear and started viewing the 100s of beautiful quilts shown on several Facebook groups. 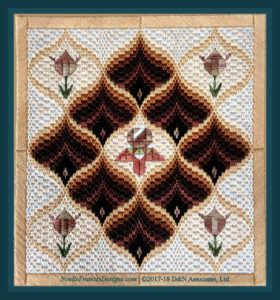 July, I repeatedily viewed web available beginner’s quilting tutorials provided by Jenny of Missouri Star Quilting Company and tutorials available on Leah Day’s blogsite. My second quilt, 55 by 69 inch throw quilt. 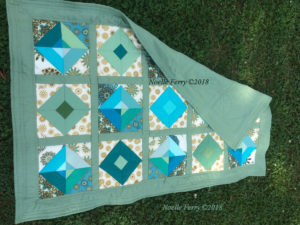 Practicing and practicing various ruler stye quilting patterns I decided to add a quilted grid pattern over the back panel of my latest pillows. 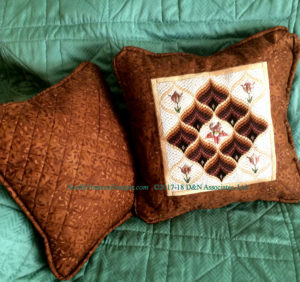 Click the below photo to view my discussions of creating pillows.